Surely there must be a vehicle that can win on Sunday and carpool on Monday? After a day spent squealing tires plus loading and unloading diaper bags and other kid gear, we think we have some answers. Our plan was pretty simple. 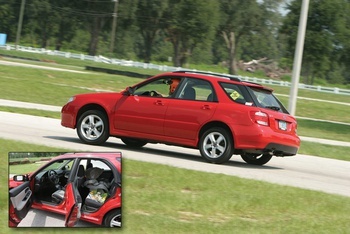 We grabbed five different types of “family” cars and gave them a workout at the Ocala Gran Prix. We had four-door sedans in the small, medium and large sizes plus a sport wagon and what is called a tall wagon—a five-door compact car with a tall-in-the-saddle vantage point. The track work would help us evaluate each car’s performance potential. Tech Editor Per Schroeder would handle the timed laps, while Art Director J.G. Pasterjak and New Daddy/Marketing Guy Bill MacDonald would also take several laps around the track. 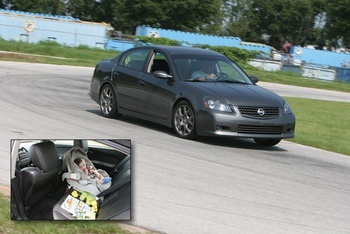 We planned to measure each car’s kid-hauling abilities with the help of a real, live baby, as little Myles MacDonald—Bill’s infant son—joined our test crew for the day. And with Myles came all of his stuff: car seat, stroller, books, toys, diaper bag and the always-present sippy cup. While this test sampled new cars, the data can easily be extrapolated to something older or more to your liking. If the Dodge Charger R/T sounds like the right vehicle for your needs, but the $30,000 price would put a dent in junior’s college and/or orthodontics fund, why not consider a less expensive option like a mid-’90s Chevy Impala SS or a police package Crown Vic? The point here is that there are more options than just the five models we tested. This test was designed to measure the abilities of representative models from each of the major categories of family-type cars; once you have used our data to narrow your shopping to a particular car type, then you can fine-tune your search to a make and model that does it all for you. And one final word before we get to our test: We passed on two-door cars. Sure, your parents transported you and your kid sister in the back of a ’69 Camaro, but today there are too many good options to make that back-busting exercise a necessity. Call us lazy, but we want it all: Fun and practicality, all wrapped up in one easy-to-use package. For generations, the large sedan was the only choice when it came to transporting a family. Fifty-something years ago, in fact, alternatives didn’t even really exist. When ma and pa visited the local Chevy dealer back in 1957 to buy their new family hauler, they could choose the color and how much chrome they could stomach, but they didn’t have many options regarding body style. The choices were basically sedan or station wagon. If they were feeling frisky and had the scratch, maybe a convertible would work. It’s no small wonder that this formula was the standard for so many decades: sometimes it’s hard to argue against a row or two of bench seats, a decent trunk and a competent engine. Even today, when we can buy minivans, SUVs and wagons in nearly every shape, size and configuration, the large sedan is still with us. If anything, it has experienced something of a resurgence lately, as the format is once again available with a bit of a bite. Track report: Like its predecessors from the ’60s, the Charger was happiest when the steering wheel was pointed straight ahead. Plant the gas pedal to its wide-open position, and the Hemi came into its element, smoking the rear tires and propelling things along nicely. When it came time to turn, our large sedan never confused itself with a Boxster, Corvette or anything else more nimble than a taxi cab. The Charger could be coaxed to change direction on track, but the touring-grade 225/60R18 tires seemed best suited for long-distance drives to grandma’s house. The Charger’s on-track performance was further hurt by the fact that it, like almost everything in its class, only comes with an automatic transmission. “Without a stick, it’s really not as fun as you’d like,” said Tech Editor Per Schroeder, adding, “I’m sure that bigger brakes, a slightly sportier suspension and a rumbly exhaust would wake this car up.” The car set some decent lap times, but it still wouldn’t be our first choice for a lapping day or autocross event. Family time: The Charger is a physically big car, but like a lot of others in this class it doesn’t make very efficient use of its size. 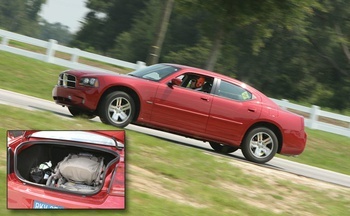 Yes, the Dodge offers a generous trunk, for example, but the opening is almost too small to be useful. Likewise, while the rear seat isn’t small, it’s in nowhere near the same league as what you’d find in a minivan. When it comes to hauling capacity, if you’re shopping one of these types of sedans, our advice is to check each car out for yourself. We have popped open the trunk on some larger sedans only to find the rear axle and full-size spare eating up much of the available room. “Pretty practical, although it’s not as large inside as I thought it would be,” quipped our new daddy, Bill MacDonald. Something exciting happened during the mid-’60s, and we’re not talking about Beatlemania. As consumers started to discover automobiles from overseas, American auto manufacturers responded with slightly smaller sedans. Cars like the Chevy II, Ford Falcon and Dodge Dart started popping up in dealer showrooms in response to the offerings from VW and the like. Once gearheads discovered that a smaller car fitted with a bigger engine made for an awesome ride, a whole new subset of performance-tuned family cars was born. These smaller sedans also offered the advantages of lower fuel costs and easier parking compared to their larger siblings. Fast-forward a couple of decades, and we still have these mid-sized performers. Most are now based on a front- or all-wheel-drive platform, meaning they’re a little more space-efficient than the typical full-size car. Car manufacturers seemed to more or less perfect the mid-sized car about halfway into the ’90s, and one of the standouts was the Nissan Altima. It was the right size, the right price and the right shape for a growing family. The only problem was that it was on the boring side, even though a stick shift was available from the get-go. A couple of years ago, Nissan started to offer a real performance package for the Altima. While their use of the SE-R badge may have offended a few purists, the Altima SE-R came well equipped, sporting meaty tires, forged wheels and even a six-speed manual transmission. Track report: The Altima SE-R’s 3200-pound curb weight doesn’t sound too excessive at first, but asking the front tires to deal with more than 60 percent of that heft does compromise the car’s track manners. Like the Charger, the SE-R seems happier when traveling in a straight line. It doesn’t feel as nimble as some other cars in its class, including the slightly smaller but no lighter Acura TSX. Where the Charger seemed to flounder a bit in the turns, at least the SE-R gave its driver a fighting chance thanks to its standard-issue 225/45R18 Bridgestone Potenza S-03 Pole Position summer tires. The fact that the SE-R also comes with a manually operated gearbox helps the car’s on-track manners. Despite the premium tires and gearbox, the car still feels a little too bulky to us for autocross use. On the open track, where fun outweighs measured performance, the SE-R makes for a good compromise. Family time: The Altima seemed to be about the right size for our practical needs. Its trunk easily swallowed our kid gear, while the interior was certainly roomy enough for our baby seat. “There’s nothing this car can’t do that an occasional rental vehicle can’t accomplish,” Bill noted. Sometimes reality gets in the way of dreams. For example, you want a new Subaru WRX or an earlier BMW 5 Series, but reality says that you need a new, practical car that won’t upset the family budget or leave anyone riding the bus to work. That’s where a new compact car like the Toyota Yaris comes into play. On paper, these cars make some sense: They’re good on gas. They have roomy interiors. Most don’t even look half bad. And the Yaris is built by Toyota, so it will probably still be around when your newborn starts drivers’ ed. However, it’s not quite a WRX. Small cars that make a big impact have been part of the automotive landscape for years, dating at least all the way back to the original Mini Cooper. 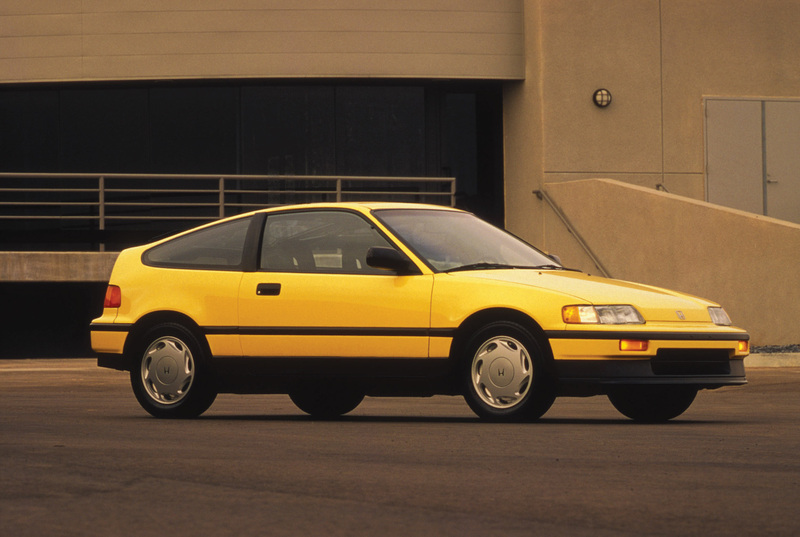 Models like the Datsun 510, Honda Civic Si and Dodge Omni GLS have continued that legacy. Unfortunately, small cars tend to grow up and cease to be small cars—witness the latest Civic Si for a tangible example. As small cars become big cars, or simply fall from their manufacturers’ rosters, they need to be replaced by something to fill that space in the lineup. Toyota’s latest small car for the American market is the Yaris, the replacement for the Echo. 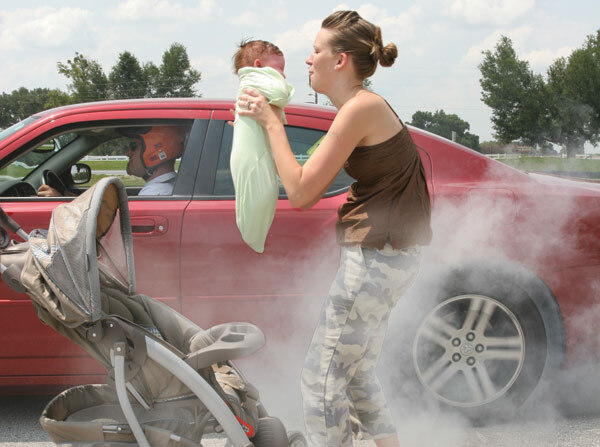 It’s not a fire-spitting monster like the Subaru WRX or Lancer Evo, but those cars weren’t really designed for young families that are just starting out. That’s where something a little more sensible like the Yaris comes into play. Track report: Between the 2300-pound curb weight, 106-horsepower engine and $12,000 base price, we had visions that the Yaris would be the second coming of the original Civic Si. Once we got on track, however, those hopes quickly faded. The complete package just isn’t there. “It has good tires from the factory, but they’re much better than the chassis,” J.G. Pasterjak noted. “Unprecedented body roll ruins otherwise decent handling.” A suspension that is way too soft allows the Yaris to understeer on a massive level. The car’s one saving grace is its curb weight, as it’s lighter than almost every other sedan available today. Remember the Mitsubishi Expo LRV? Don’t worry, you’re not the only one. Offered from 1992 through ’95, the Expo LRV looked like a giant Chuck Taylor All Star and didn’t sell well. However, the LRV does bridge the evolutionary gap in the U.S. market between Honda’s quirky highboy Civics of the ’80s and today’s tall wagons. In anthropology speak, the LRV is the Lucy to today’s Scions, PT Cruiser and our test car, the Honda Fit. While these tall wagons look like scaled-down minivans, most contain a healthy dose of small-car DNA. The Toyota Matrix and Pontiac Vibe, for instance, come from the Corolla’s branch of the family tree. Remove the bodywork from the Scion xA and xB, and again you’ll see architecture originally intended for a small passenger car. While these small wagons have existed on and off in the U.S. market for the last 20-plus years, only recently did they start to get some street cred and become truly popular. The PT Cruiser and Chevy HHR both cashed in the current retro-car craze, while the box-like Scion xB scored a direct hit with today’s younger crowd. Tall wagons seem to have the right combination of style, practicality and price for today’s market—both the über-hip Scion xB as well as the grandma-approved PT Cruiser start at about $15,000 brand-new. The Honda Fit is one of the latest entries in this market. After making its release in Japan for the 2001 model year, the car finally came to the U.S. five years later. We hear there’s still a waiting list. 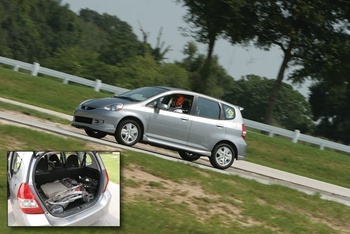 Family time: On paper, the Fit was the most practical vehicle in our bunch. It features a roomy interior, easy-to-load back seat and excellent view of the road. Station wagons are nothing new on the automotive landscape; many of us grew up watching the highway disappear from the tail-gunner seat of a Chrysler Town & Country, Oldsmobile Vista Cruiser or Ford Country Squire. Practically speaking, however, the minivan killed off the wagon about 20 years ago. Except for Volvo, Subaru, Mercedes-Benz and a few others, most companies dropped traditional wagons from their lineup. Well, wagons are back—just don’t call them station wagons and don’t expect any faux wood siding. Small to mid-sized “sport wagons,” as they’re now called, started crawling back into the automotive mainstream in the ’90s and beyond with the release of the Saturn SW2, Mazda Protegé5 and Lexus IS 300 SportCross. Today we may well have more wagons than ever thanks to BMW, Dodge, Ford, Mazda and others. Many of these wagons are sportier than their forefathers, too. The Dodge Magnum, for example, is available with the company’s tire-shredding SRT Hemi engine—425 horsepower and 420 lb.-ft. of torque. Subaru has been offering turbocharged wagons for decades, but their latest Impreza WRX Sport Wagon sets a new standard between its willing turbocharged engine and all-wheel grip. We couldn’t wrangle an Impreza wagon for our test day—the press pools were empty and our project car had not yet arrived—but we found the next best thing in the form of our Saab-badged 9-2X. The Saab 9-2X was born through GM’s short-term relationship with Subaru parent company Fuji Heavy Industries. It was available for only the 2005 and 2006 model years, as it died along with the relationship. The Saab 9-2X is basically an Impreza without a Subaru logo, a badge-engineered product that follows the tradition of previous GM wagons like the Buick Century, Chevrolet Celebrity, Oldsmobile Cutlass Cruiser and Pontiac 6000. Track report: The Saabaru didn’t set the fastest time at our test day—that distinction goes to the Altima SE-R—but we believe that this car has the most motorsports potential due to the fact it’s basically a Subaru Impreza, one of the most popular cars in our scene at the moment. 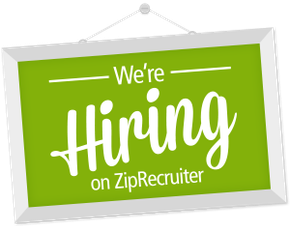 Bigger tires, an upgraded suspension and, on the turbo cars, more boost are only a phone call away. Even in its basic, non-turbo state, the car’s track manners impressed our crew. The handling felt spot-on, only slightly let down by a lack of poke. Family time: Not only was the Saabaru a blast on course, but it’s a practical vehicle, too. It easily swallowed all of our baby gear, although there wasn’t much room to spare once it was fully loaded. As an added benefit on the practicality scale, the Saab’s all-wheel-drive makes those family outings a little safer. “The manual transmission and all-wheel-drive drivetrain make the car handle well and add an element of safety that’s important to me,” Bill said. “It’s also small enough to zip around town, but solid enough to feel safe and comfortable on trips to Grandma’s." The five cars that participated in our test day paint a nice picture of what’s available to consumers these days, especially those shoppers with young families. 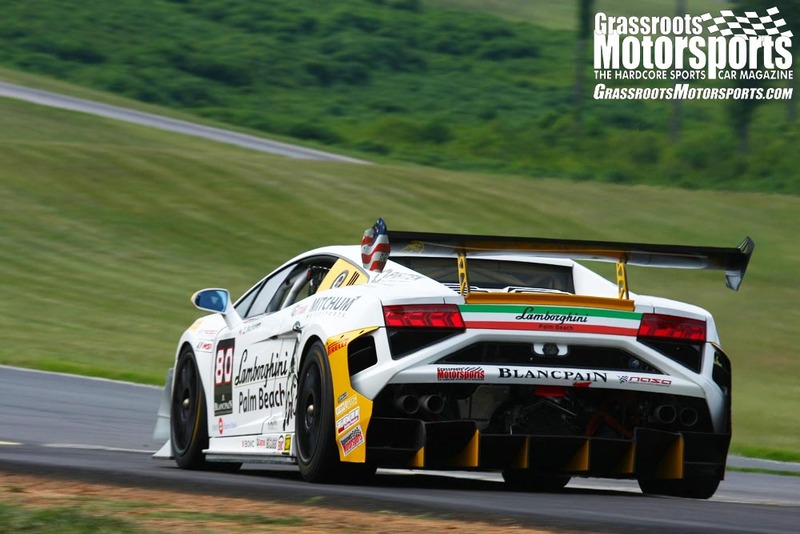 Some of them do seem better suited for family life than motorsports duty, however. Going in, the Honda Fit and the Toyota Yaris were the two biggest unknowns. We’ve always championed the small, tossable car, but neither of these really had any motorsports potential. That little fact would put them at the bottom of our list. Those of us on staff and without kids have always liked the Subaru Impreza thanks to its rally-bred performance, ever-growing aftermarket and, on the WRX models, healthy dose of turbo boost. Those with families have appreciated Subaru’s commitment to the sure-footedness offered by all-wheel drive. Put everything together, and the Saabaru was the class of our field. It pretty much did it all, offering safe, comfortable family transportation along with excellent motorsports potential. That’s a compromise anyone can live with. 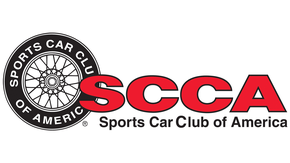 Join Free Join our community to easily find more Dodge, Honda, Nissan, Saab, Subaru and Toyota articles. 17 mpg city/25 mpg hwy. C’mon, admit it, as soon as we started talking about big four-door sedans that can generate a lot of tire smoke, you started pricing used cop cars. It’s okay, we did it, too. Whether you’re 25 or 45, the odds are strong that your parents carted you around in the back of an Impala. If you can live with the automatic, they can be fun, quick and bulletproof. Good enough for millions of grandmas and grandpas, the Mercury Grand Marquis does have some hop-up potential. Get bad ideas from the Kenny Brown Performance catalog. 20 mpg city/29 mpg hwy. The EPA classifies the BMW 5 and 7 Series sedans as mid-sized cars, but they’re still far from small. They have been available for decades, meaning there’s one for every budget. The Grand Prix has been a part of the Pontiac lineup since 1962. Since the late-’80s, the name has been used for the company’s mid-sized car. And yes, you could get the blower with the sedan body. The Honda Accord as a performance car? Sure, why not? It doesn’t enjoy as much aftermarket support as the Civic or Integra, but it’s still a capable platform. A stick shift was usually available. 34 mpg city/40 mpg hwy. The EPA may only classify the Subaru Impreza as a compact car, but it seems big enough for most of us. Depending on your mood, needs and budget, you can get it with or without caffeine. The Neon was Dodge and Plymouth’s import fighter, and the chassis is no stranger to motorsports. It, too, came from the factory in tunes ranging from mild to wild. Most compact-class cars feature front- or all-wheel drive. The BMW 3 Series bucks that trend. Pretty much all variants have proven themselves capable in any motorsports situation. 31 mpg city/37 mpg hwy. 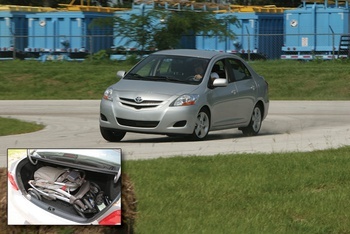 The Scion xA is practical, stylish and practically designed for customization: TRD even offers factory-developed parts. The xA gets replaced by the xD for ’08. We realize that the PT Cruiser is a polarizing vehicle, but Chrysler has made about a zillion of them to date, many with the turbo 2.4-liter engine and five-speed transmission. Yes, we know that the Pontiac Vibe is a rebadged Toyota Matrix, but check out this concept car. At the 2003 SEMA Show, Pontiac displayed the Vibe Autocross. It was supercharged. And slammed. 22 mpg city / 29 mpg hwy. While the Subaru Legacy is a bit bigger than the Impreza, most of those gains are found in the way-back—the Legacy’s rear seat is only marginally bigger. The Legacy also comes in plain and exciting versions. While the Mazda Protegé5 didn’t get any extra horsepower, its JDM nose and 16-inch wheels were all standard equipment. The EPA says the Protegé5 has 93 cubic feet of space. Wow. Like Volvo, Audi is also no stranger to wagons, with models dating back to the ’60s. The S4, shown here, can accelerate from a standstill to 60 mph in about five and a half seconds.